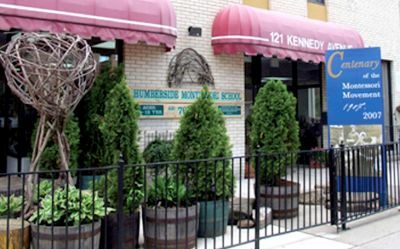 Accredited by the prominent Association Montessori Internationale (AMI) established by Dr. Maria Montessori, Humberside Montessori School is found in the heart of the Bloor West Village-High Park neighbourhood in Toronto. Our school was established in 1987 by Felix Bednarski (M.A., A.M.I.) and his wife Molly Galle (RN). We remain dedicated to promoting the educational philosophy envisioned by Dr. Montessori, and we adhere to the principles that are recognized as the international standard for Montessori education. Every classroom is fully equipped with AMI-approved materials and directed by professionally trained and certified AMI teachers. Humberside Montessori School is committed to supporting the wholesome growth and development of all aspects of the human personality during the formative years of childhood and beyond. To provide maximum support and assistance to the child, we organize parent information sessions, material presentation workshops, in-class observations, and parent-teacher interviews to help parents become progressively more enlightened about Montessori education. This school year marks our 30th anniversary of our commitment to children. We welcome you to visit our school. Humberside was founded in 1987 by Felix Bednarski Molly Galle, and they remain as directors of the school today. As such, there has been a long and consistent attention to the initial intentions for the school, one of those being a fidelity to the core of the Montessori program as described by Maria Montessori through her work. That fidelity to the core of the approach is a particular draw for the families that enroll here, as is the demonstrated attention to maintaining AMI standards in classroom resources and faculty development. Parental involvement in the life of the school is welcome and encouraged, allowing a sense of community that extends nicely beyond the walls of the school proper. Interested in Humberside Montessori School?